Militancy is revered on the left. Whether insurrectionary violence or mass militancy of social movements, the form and level of militancy serves as a marker of the relative power and progressive nature of a movement. Insurrectionists fetishize either mere acts alone (independently of who does them, groups or individuals) or fetishize violent acts as signs of collective will. Some social movement organizers take militancy to indicate a progressive or revolutionary nature of a movement. Looking at militancy and militant acts alone however is bound to be distorting and lead us down garden paths. A militant event occurs in a social context and through a social process, and these facts bare on the meaning of militancy as a historical phenomenon. Militancy is generally targeted for a few reasons. One is the outcome. A militant event can have a number of effects. Some analyse these events based on these effects. Spreading radicalism, disrupting power, beating back reactionary forces, etc., these can be taken to indicate the importance or problem with various actions. This is one axis for understanding militancy. Another is the act itself. Work stoppages, illegal strikes, organized violence against capital or the state, anti-police measures, etc., can be viewed as having inherent political content that is thought to either illuminates or stimulates some underlying radical consciousness. Additionally who participates, organizes, and is involved in the act is also seen as important. These factors are those most emphasized, but in fact the crucial element that helps us make sense of militancy, its relevance, and direction, is another thing all together. Beyond the outcome, the participants, and the act is the process by which the event occurs and how it unfolds. This process is the difference between militancy for no reason, militancy for reactionary reasons, and potentially revolutionary militancy. The problem is that without looking at the process we either rely on believing in the automatic revolutionary nature of acts (ritualistic protest), of certain people (worship of the working class as inherently revolutionary, rather than potentially revolutionary), or of the outcome (populism about the revolutionary nature of “victories”). A social revolution is not one of conquest; we cannot conquer the space to implement collective democracy and liberatory social relationships. It is a process, and one that requires the transformation of thought and action. From everything we’ve seen there is a potential for these transformations through struggle, where ruptures with the dominant ideology and social norms open space for new ways of relating and conceptualizing social living. To anyone who’s participated in strikes this should be evident. Even the most backward strikes demonstrate such transformations. But anyone who’s participated in a strike should know that there are also no guarantees that those transformations will take hold or worse won’t spur on reactionary backswings. A strike may have a positive outcome or a victory; say workers take militant action in a strike like a workplace occupation, an illegal strike, or taking over a factory. Those workers could win increases in wages and economic conditions on account of the strike. The outcome alone tells us nothing about the political content of that strike or movement; an increase in the power of the union or economic situation of a section of the class is not inherently revolutionary or progressive. This is because of the process. If the workers see through their militancy a victory, and a new union grouping that becomes institutionalizing through the upsurge, a number of things could happen. Between contract periods the same conditions of tiring work and disrespect may persist, and usually do. Militant struggles are generally pitched points between normalcy. As the new union leadership becomes integrated into the capitalist work process, an institutional pressure to prevent conflict develops. In such a scenario, the workers may come out of such a strike less organized, with less resolve to fight, and disillusioned from left organizing in their workplace. This is just to say that outcomes in themselves are misleading without seeing the political struggle that drives these conflicts, and drawing out the class lessons in militant events. The Weather Underground in the United States developed the concept of the armed propaganda, perhaps paralleling the old insurrectionist anarchist concept of propaganda of the deed. The violent act then is understood to have propagandistic value based on its outcome; demonstrating the weakness of the target, solidarity and exposure to a cause, or whatever. Unlike organized anarchism, which essentially abandoned propaganda of the deed after it nearly destroyed completely the movement in the 1870s, this legacy has been transmitted to present radicals via protest movements (much like the Weather Underground). Acts themselves do not do anything; it is the content, process, and relationships that drive them. Belief in the inherent radical nature of acts themselves is a form of faith. The same may be said of the participants. Militant actions of workers, production workers, workers of colour or women workers, extremely exploited lumpen-proletarians in the inner city, etc., in themselves are not inherently revolutionary. Workers can strike to protect their relative privilege against other sections of the class. Oppressed minorities can push for reactionary forms of nationalism or capitalism. Any group can use militancy to try and become a ruling class or potentially a ruling class. Militancy by different sectors doesn’t have any inherent guarantee of liberatory politics. Reaction and repression can emerge from anywhere, both from hierarchy and from non-hierarchy. Violent and militant acts are meaningless in and of themselves. Unfortunately, in North America the alienation of the left from mass struggle and the absence of social forces capable of challenging (openly) ruling class assaults on a sustained basis create a pressure or incentive towards ritualized forms of militancy. On a theoretical level, a bombing, strike, or riot alone can be extremely reactionary. The outcome, participants, and process determine its political significance and reverberations. Without those factors we step into the realm of acting-in-the-name-of, trying to propagandize to people, and believing in the ability to topple social relationships through ritualistic and symbolic activity. This strategy has yielded only failure and harm in all its forms; whether bourgeois nationalist, liberal, communist, anarchist, or fascist. With this understanding, we can see how non-militant acts may even have more revolutionary content at times than seemingly radical mass violence. The major forces in society, class relations and state-relations, are primarily social relationships rather than mere accumulations of income or weaponry. Radical transformation likewise occurs than disruption and replacement of these social relations in ruptures with liberatory ones created en mass. Both attempting to catalyse this and decipher it within social movements and struggles is the task of revolutionaries. Militancy may or may not reflect an increase in the transformative potential in struggle. Through trying to understand the political process, outcome, actors, and acts, a revolutionary can strategize where to concentrate forces, where to intervene, and when to retreat. There is no formula to this, and ultimately it requires a great deal of practice as even the theory is dependent on context and history. Shattering the fetishism of militancy gives us some of this space to deepen that practice. Exploring militancy then gives us tools to understand our role as revolutionaries. It is precisely the political process inherent in activity that gives actions their revolutionary, reformist, reactionary, or stagnant natures. Rather than focusing on an abstract militancy, revolutionaries should seek to deepen and expand the political content within the context of immersion in struggle. The militancy of the struggles may wax and wane with the trajectories of the struggles. This requires the capability to assess the potential for a political process in struggles, and knowing when to push and when to retreat. Understanding that militancy is not inherently revolutionary, this means refocusing not on the level of confrontation and violence against power, but on the protagonists and their potential. Another way of framing this is that the long-term confrontation and militancy of the working class against capital and the state does not in every instance line up with short-term militancy. In our time this will frequently be at odds with hyper-militant acts of small groups of revolutionaries, and fetishized violence in the name of the working class. While we must be committed to escalating confrontations with power in the long-term, our strategizing requires being able to know when immediate militancy will advance us or drive us backwards. 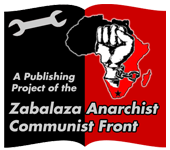 The essence of this process is looking to potentials for revolutionary consciousness developed in activity through a political process of struggle. See Dan Berger’s Outlaws of America: The Weather Underground and the Politics of Solidarity by AK Press.